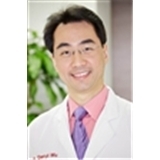 Darryl Wu, DDS (New York) - Book Appointment Online! Really great visit with the Doctor. I hate going to the Dentist. He was pleasant, caring, helpful and straight about what needed to happen. The admin stuff was a bit of a pain but they were willing to work it out until I was clear.